The Port of Valencia is one of the most important in the Mediterranean in terms of commercial traffic. The port connects Valencia by ship to the Balearic Islands and to Italy, and is a destination increasingly requested by cruise ships, which dock in the pier of Ponente to allow passengers to visit the city for a few hours. To reach Valencia by car, a modern road network connects it to the main Spanish cities. In particular, the AP-7, which runs from north to south throughout the Levantine coast, joining Valencia to Barcelona and Alicante, and the A-3, which crosses the center of the peninsula to reach Madrid. The airport is only 8 km from the city. For those wishing to reach Valencia in teno, there are two train stations. The Norte station operates a subway train service and the Joaguin Sorolla high-speed train station with connections to Madrid, Seville, Cordoba and Cuenca. From the train station Jaquin Sorolla also high-speed trains to Barcelona and other cities. 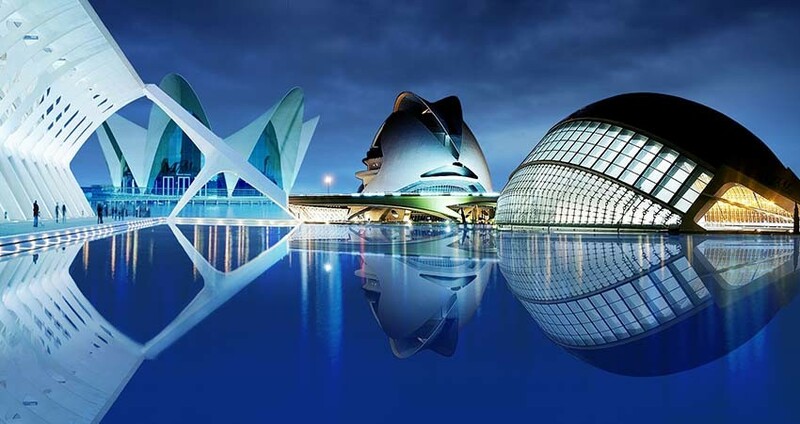 Do you want to travel with your family to get to Valencia? Do you like adventure and freedom and you want to reach the destination Valencia with your moto ?